Collects Daken: Dark Wolverine #13-19. When Daken came to Los Angeles he believed that the position of West Coast Kingpin was there for the taking. 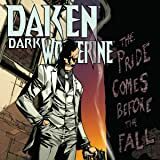 But the City of Angels has a new crime lord, the 'Claws' serial killer continues to cause carnage in the dark areas of the Hollywood Hills and the Heat drug's grip on Daken is growing daily, scarring his mind and body. The perfect time, then, for Daken to find himself battling the Avenger with multiple personalities, Moon Knight! Plus: with Daken's healing factor destroyed, can his body overcome a bullet in his brain? And, if so, how will the recovery affect his mind? 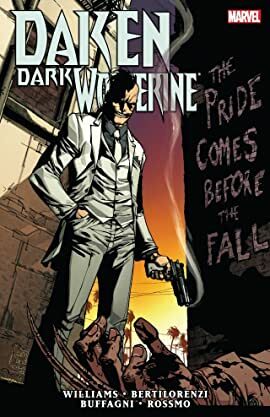 Then, when the shadow king of the Hollywood Hills is revealed, Daken is suddenly the most wanted man in America, and has the entire LAPD and the FBi on his tail! Can Daken save Donna Kiel when he's at his weakest? Maybe the better question is, does he even want to?